Montparnasse, s’il vous plaît ! Bright lights, dark sky; Paris lies far beneath the window sill, whizzing by. 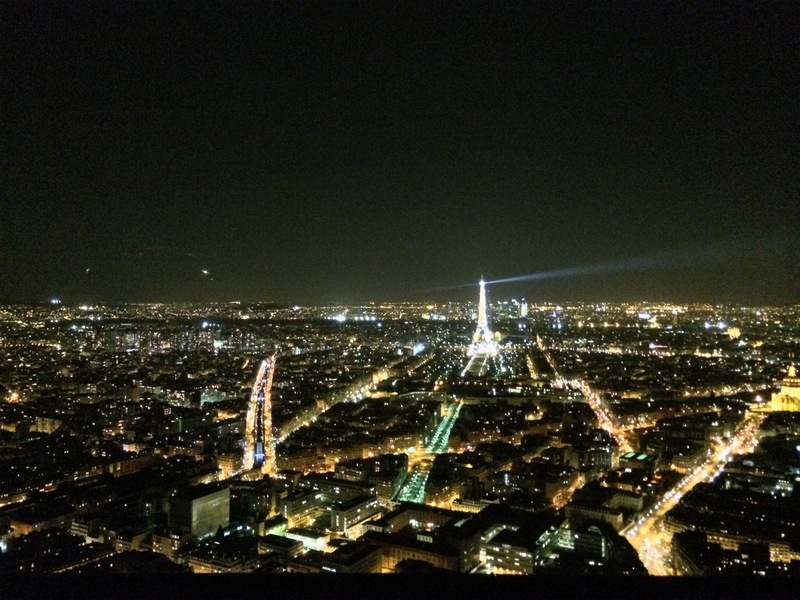 56 floors (57 for US-Americans) high in Montparnasse is an observation deck, allowing for a gorgeous 360 degree view of the city. Just three floors more and one finds themselves standing atop the tower and all of Paris to see. Just a relatively thick piece of glass, 4 more meters of inaccessible roof, and two fences separates you from the edge of this tall tower. Nonetheless, Montparnasse leaves visitors with amazing views, like this picture of the Eiffel Tower shimmering in its 21:00 light show glory. A beautiful scene! Enjoy the experience of a lifetime! Just read….great pic….! We never saw it at night…!Amazing!